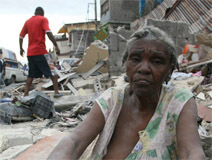 image courtesy of weather.com At this time of awful tragedy in Haiti we would like to alert you to Yele Haiti, a charity set up by the musician Wyclef Jean. 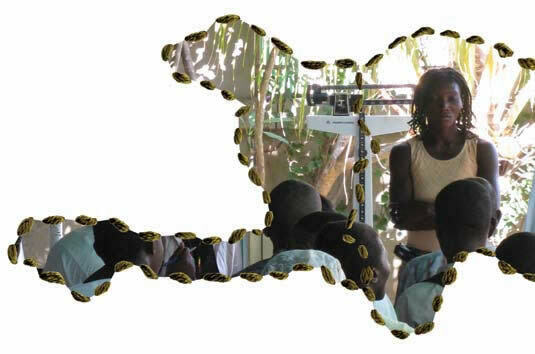 Originally begun to help Haiti s citizens with educational outreach and other programs, Yele Haiti is now working with support in the earthquake recovery. If the site is overwhelmed by people wanting to provide support, please keep trying. There are also other opportunities from international relief groups: International Federation of Red Cross/Red Crescent Societies. 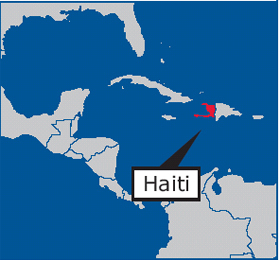 If you ve been around for awhile, you may recall Haiti and HIV have been associated for many years. In the bad old days and the start of the AIDS pandemic, journalists cruelly came up with the term 4-H Club, to refer to the groups considered at the time to be high-risk Homosexuals, Hemophiliacs, Heron Users and Haitians. It is currently believed that Haitians who had been working in Africa became infected and returned to their own nation where the disease began to spread, about the same time visitors to Africa returned to North America and HIV began to spread here. Unfortunately, because of the lack of understanding about the virus in those days, accusations were falsely made that AIDS in America came directly from Haiti. These claims, which were often founded on dubious evidence, fuelled pre-existing racism in the US and many Haitians suffered severe discrimination and stigmatisation as a result. A large number of Haitian immigrants living in the US lost their jobs and were evicted from their homes Farmer, P. (1992) AIDS and Accusation: Haiti and the Geography of Blame. University of California Press. In terms of HIV, up until the recent earthquake, Haiti has been successful in meeting challenges. Their efforts have included developing a health based outreach to their people. Partners in Health, started by the American physician, Dr. Paul Farmer, has been active in creating this community based model. His HIV Equity Initiative trains local residents to administer free antiretroviral drugs to AIDS patients; more than 400 community workers have been trained and more than 1500 patients are currently receiving treatment. “I think that’s Haiti’s lesson,” explains Dr. Farmer, “… if you can integrate prevention and care and make sure there’s better supervision of patients with the help of community health workers, I think other countries with major AIDS epidemics … are going to see good results.” Ibid. 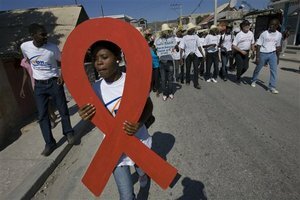 Despite all the country’s problems, Haiti has made remarkable gains in combating HIV, in part because of the development of a broad-based health care system that enlists ordinary citizens to provide health care within their communities. Dr. Paul Farmer, an American physician whose organization Partners in Health pioneered this model in Haiti, operates a community health center in the rural settlement of Cange. His HIV Equity Initiative trains local residents to administer free antiretroviral drugs to AIDS patients; more than 400 community workers have been trained and more than 1500 patients are currently receiving treatment. “I think that’s Haiti’s lesson,” explains Dr. Farmer, “… if you can integrate prevention and care and make sure there’s better supervision of patients with the help of community health workers, I think other countries with major AIDS epidemics … are going to see good results.” Ibid.